Looking to find super cute Holiday leggings? Be sure to check out the latest styles at My LaLa Leggings! 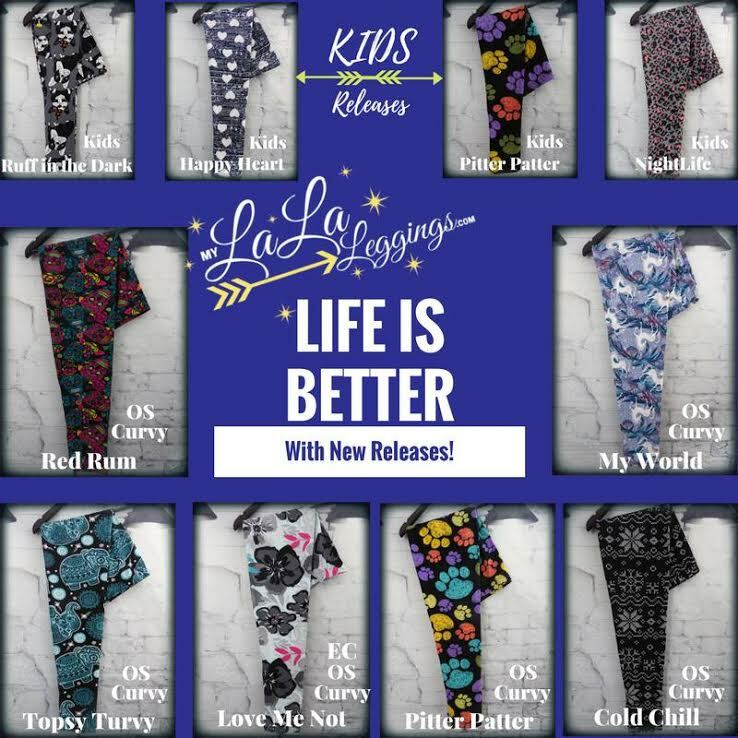 They have super cute patterns plus a huge assortment of Halloween and Christmas Leggings! Shipping is FREE! This week The Beauty Spotlight Team is being joined by Stacie of Makeup Obsessed Mom. Stacie is a beauty and lifestyle blogger in her 50's who's on a quest to find the Fountain of Youth. Her focus is on makeup trends, the latest releases, anti-aging skincare, beauty tools and more. She'd love for you to stop by her blog and see what she's been up to. Prime Beauty is always looking for a foundation that caters to over 40 women and she found a great one with Osmosis +Colour Performance Wear Satin Foundation. Get ready for a flawless complexion! Pammy Blogs Beauty scopes out this Fall's Metallic Makeup Trend with L'Oreal Paris's Infallible Paints Metallic. If you are seeking a delectable Autumnal fragrance that is warm, creamy and hypnotic, then Serendipitous Eau de Parfum from Serendipity 3 is a gorgeous fragrance worthy of your consideration. Its aroma is punctuated by notes of Tahitian vanilla, sweet orange and chocolate, and Lola's Secret Beauty Blog is thoroughly enchanted by its fetching scent! When it comes to your skin what do you really know? Stacie from Makeup Obsessed Mom found a way to learn what she needs deep down with a home DNA test that is affordable and has taught her so much. Check it out for yourself. For Breast Cancer Awareness Month, Laurmé Skincare is giving away their gentle but effective, fragrance-free, cruelty-free 5 piece Sensitive Skin Collection ARV $175. Enter to win it on Never Say Die Beauty's blog through 10/16. With the plethora of skincare products at their disposal it says a lot when a beauty blogger uses a single skincare line for over 2 months. Find out what skincare line Christa from Realizing Beauty has fallen madly in love with. And it's natural! BeautyJudy is loving the coverage of L'Oreal Infallible Pro-Matte Foundation - the coverage and wear are on point! What do you carry for a cosmetic case? Beauty Info Zone shares the most fun one ever from Braccialini. Not only will you want one but so will all the women you need gifts for. They say life begins at 40 and Polarbelle wants you to have fun living that beauty life in a new Series called The Grey Wave. Let's learn together how to enjoy all beauty past our 20s. 15 Minute Beauty is mad about Bobbi Brown eyeshadow palettes including one that's perfect for fall.